Yesterday the Little Person and I were looking at photos and videos on my computer. She was particularly interested in the videos and we had a great discussion about the difference between pictures which are still and videos that movie. When I asked her what she wanted her movie to be about, she had many ideas. One was to make a video of Mei Xiang and Tian Tian (the pandas from the National Zoo in DC) eating honey off of a crate. We had seen photos of that at the zoo in a part of the exhibit about how the keepers engage the pandas. Here was a choice point. The jump-ahead, say yes me was ready to go and cast some of her stuff pandas in the roles of Mei Xiang and Tian Tian and grab the camera to start filming them with a crate in the backyard. Yet, I had a moment of pause. Was that the story that LP wanted to tell? And if yes, was it important for the story to be preserved and not to worry about which medium we used to tell it? We could make a picture book of the pandas playing either with our own drawings or photos…or LP might come up with a different way to tell the story. So first I needed to find out, what was it that was capturing her imagination — the story or the medium? And of course, the pace of the storytelling needs to be LP’s and not mine. When given the choice of making a movie with “pretend” Mei Xiang and Tian Tian or writing and drawing the story, LP chose writing and drawing without hesitation. AND she was ready to get down to business telling a different story. She narrated and drew (and art directed me doing part of the drawing) while I wrote. 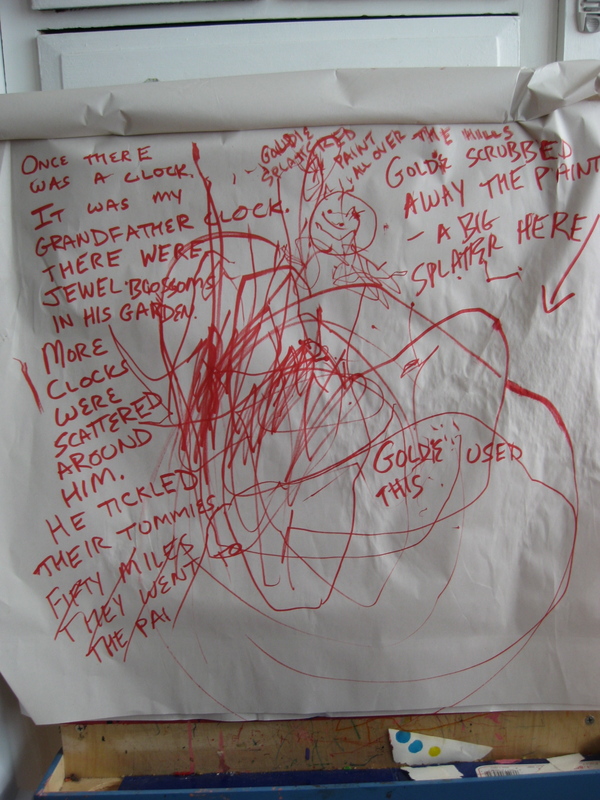 Here’s a picture of the final story on LP’s easel. Once there was a clock. It was my grandfather clock. There were jewel blossoms in his garden. More clocks were scattered around him. He tickled their tummies. Goldie splattered paint all over the hills. Goldie scrubbed away the paint and a big splatter here. Sometimes creating a story with a little person is about jumping onto the production of it and other times it is about taking the time to let them get to the story they want to tell. I’m glad I had the vision of making a movie together (which we’ve never done with much intention) and I’ll tuck it away as an offer of how to tell a story on another day. 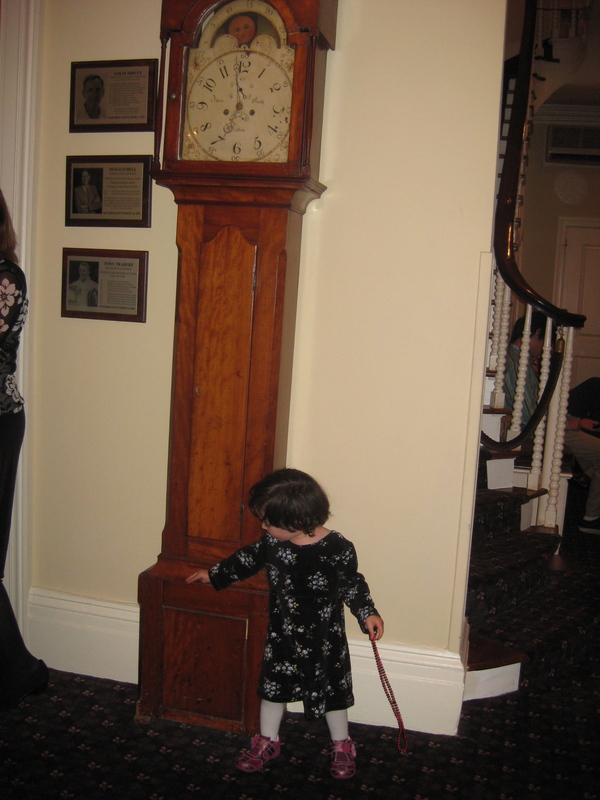 This day’s story was a tribute from LP to a clock she loved meeting. 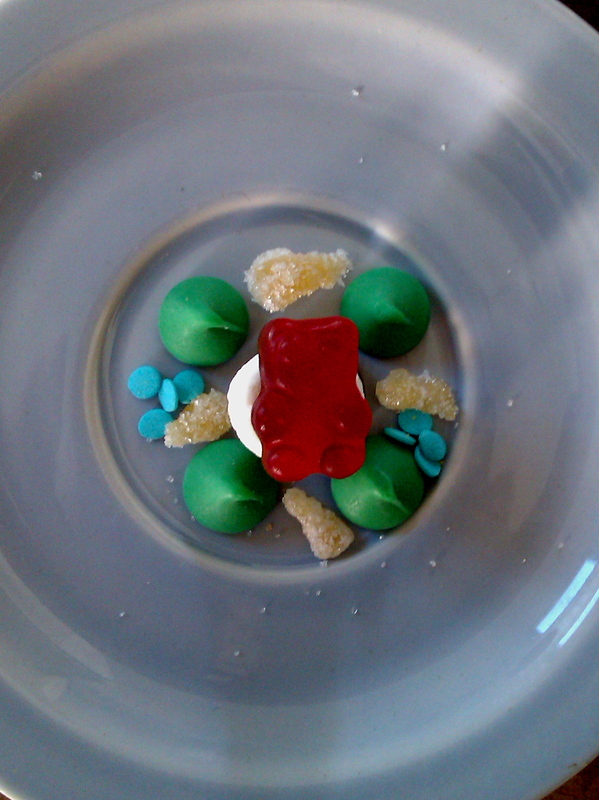 This post is a part of this weeks “We Play” over at Childhood 101. Click on over for a bevy of play ideas for little people. ImprovDad: One you know or made up? ImprovDad: There was once some paint. What color was it? ImprovDad: The green paint spilled and got on the floor. They went on like this for a long time. First exploring the cat’s feelings about the green paint experience and then moving on to the next thing and exploring that, all with LP asking “what else?” Then ImprovDad turned the question back on her. ImprovDad: Now its your turn…what else? ImprovDad: I made up a lot of things and so now it is your turn. What else? LP: There was paint on the car! I love how simple this is. So often I am tempted to make the process of storytelling and co-creation complicated and the truth is simple is not only easier, it is also very satisfying. It turns out that “what else?” is a lovely question to expand a story moment…either to provide more color or move on to the next plot point. That question communicated to ImprovDad, that LP wanted more and led to a playful (and long) story interaction.